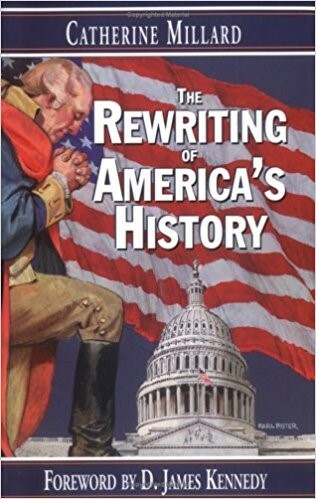 On my recent visit to Washington D.C, I was told that scores of historical books describing America’s Christian heritage have been ousted from our Nation’s library! For centuries the Library of Congress has collected and displayed millions of documents, books, artwork and other artifacts of our Judeo-Christian history. Established in 1800 to provide Congress historical documentation for the making of laws, the LOC is the world’s foremost repository of American history. Even the architecture—particularly in the Main Vestibule of the Library’s historic Thomas Jefferson Building—symbolizes the legacy of our Christian roots. But while on a tour of the library, I was more struck by what was missing, than what was there. 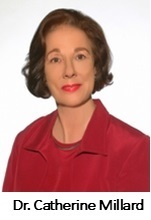 Our guide, Dr. Catherine Millard, president and historian for Christian Heritage Ministries, told me that over several decades, countless books, many of them historical works celebrating our religious history, have simply disappeared from the General Collection - the library’s primary public access area. They are typically labeled either missing in inventory or charged to the Rare Book Collection and stored in a special vault. Dr. Millard is convinced the literary exodus is not just a case of sloppy book keeping, but a deliberate attempt at revisionist history. Only four days after our tour, Dr. Millard was stunned to discover that the Giant Bible of Mainz - a 500 year-old, hand-written and illustrated Bible that, along with the Gutenberg Bible, had been on display for more than 50 years - has been removed. 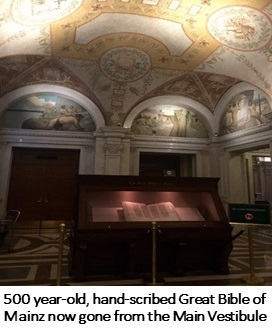 When Dr. Millard inquired, she was told by the chief of the LOC’s Visitor Services Office that the Librarian of Congress, Carla Hayden, had removed the historic Bible for renovation. However, we cannot find anyone who can tell us if or when the Bible will ever be back on display. However, we cannot find anyone who can tell us if or when the Bible will ever be back on display. Gayle Osterberg, the director of Communications for the LOC, told Dr. Millard that Hayden, an Obama appointee who was head of the Baltimore Public Library system, has ideas to modify the Main Vestibule to include hands-on, 21st century and “pop-up” exhibits that pay homage to current and cultural influences. In June, 2017, one of those exhibits included a tribute to “Pride in the Library," featuring items from the library's extensive “LGBTQ-Plus” collections. Since thousands of students visit the Library of Congress every month, what better way to promote the left’s public school agenda? Dr. Millard calls this action an affront to Christian families! In a June 2016 Daily Signal article, Concerned Women for America voiced their displeasure with Hayden’s far-left radical activism. With what I’ve been told, I share Dr. Millard’s urgent concern for the integrity of our nation’s Library. Maybe it’s time for President Trump to appoint a new Librarian of Congress who will respect our Christian Heritage. If you’d like to help Advocates for Faith & Freedom get this priceless Giant Bible of Mainz back on display and fight this attack on our spiritual heritage, please let your voice be heard! To exert pressure on the Committee on House Administration please call 202-225-8281 or send an easy form email to the committee members from their website at cha.house.gov/about/contact-us/email-house-administration. Public pressure has worked in the past. In 1990, the missing 1847 family Bible belonging to Abraham Lincoln was found after Dr. Millard doggedly pressed Library officials on its whereabouts. Just as Dr. Millard’s objective is to preserve the truth about our Christian history in Washington D.C., Advocates for Faith & Freedom is fighting to protect our religious liberties in our courts. Please partner with us with a tax deductable donation of $10, $100, $250, or more. We are grateful for your generosity and thankful for your prayers! Dear Friends, If you follow us on Facebook and receive our Advocates In Action emails, you’ve heard about my recent trip to Washington, D.C. Advocates for Faith & Freedom was honored to be a sponsor of Church United’s Awakening Tour for California pastors. Church United’s founder, Pastor Jim Domen, admits his purpose is to “disrupt” California pastors and bring a revival to the churches of California. And I believe a sense of revival is about to happen! Over 150 pastors and influential church leaders from across the state came together in May to accept the challenge to pray for our politicians, pray for revival and to respond to the spiritual issues that threaten our communities. At least 28 of these pastors are affiliated with Advocates for Faith & Freedom’s ministry! Everyone prayed for an awakening in the Church! Church United arranged for most pastors to meet with their own congressional representatives to pray with them and for them. Most of the politicians were extremely encouraged by their visit from the pastors. God definitely had His hand in the connection made between the pastors and their elected officials! The pastors were encouraged by so many Christian congressmen and senators who boldly warned that revival won’t come from Washington D.C., but will be flamed in our local churches. After all, California is the birthplace of some of our most significant revivals like Azusa Street and the Calvary Chapel “Jesus People” movement. The pastors came in unity from the inner-city to the suburbs, from democrat to republican, from orthodox to charismatic, from rich to poor. It was an amazing symbol of a “church united” in the heart of our Nation’s capital. U.S. Senator Ben Sasse, House of Representatives Leader Kevin McCarthy, Freedom Caucus Chairman Congressman Mark Meadows, Congressman Mike Johnson, CA State Senator Mike Morrell, and many more spoke with a conviction that called on these pastors to find the courage to speak from the pulpit and the public square with faith and without fear! All Believers, some were even former pastors who said they never aspired to run for public office, but seeing the decline of our country’s religious and moral character, they are now giving a voice to America’s Christians who feel they’ve been forgotten by their government. So, what can you do to help inspire this united message of hope for California and our country? Please pass this newsletter on to your own pastors and encourage them to contact us about attending the next Pastors’ Awakening Tour in Washington, D.C. You can also contact Church United directly at www.churchunited.com. 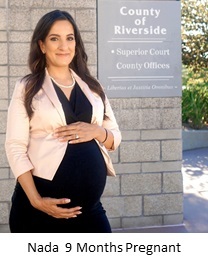 As Advocates for Faith & Freedom continues our fight in the courts for you and your church’s right to spread the Gospel of Jesus Christ, won’t you partner with us with your prayers of support? And won’t you consider sending a tax-deductible gift of $25, $100, $250 or more? Thank you for your generous support, which allows us to continue our ministry in law and our partnership with other ministries like Church United!